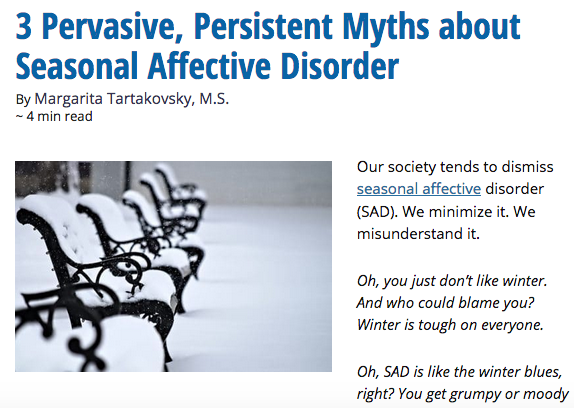 Last week I wrote an article about the symptoms of Seasonal Affective Disorder (SAD). 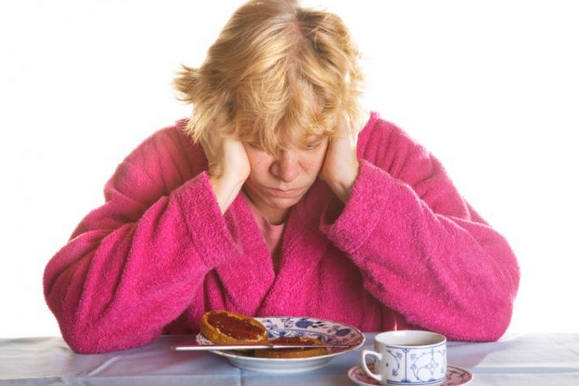 Today I am tackling some myths about SAD. …about what to say and what NOT to say to a friend/family member/co-worker who is struggling with depression. I love being a part of these kinds of articles because it really gives me a chance to air my annoyances out loud! And someone is actually listening! 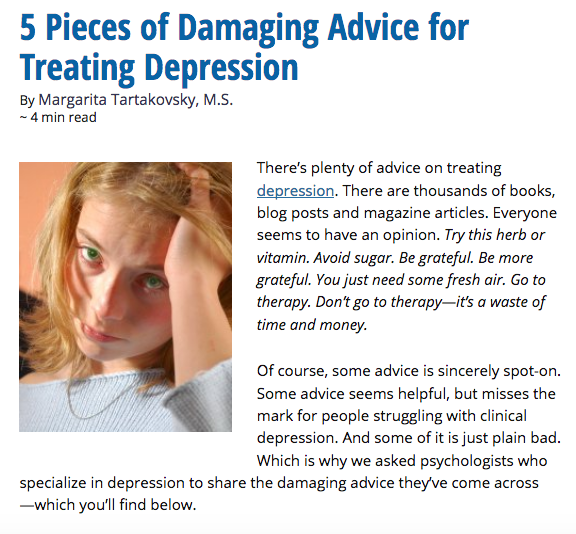 Anyway, the article is actually really helpful – giving lots of ideas about how to approach someone who is feeling depressed. My favorite useless (and potentially harmful) piece of advice that’s often given to depressed folks? 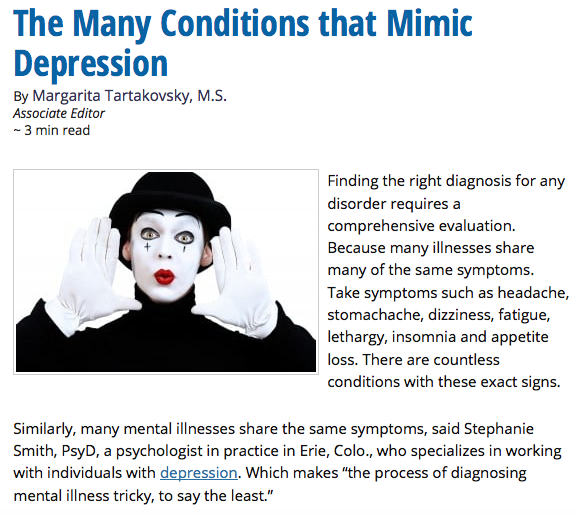 Diagnosing mental illness is difficult. There are no blood tests for depression; no urine tests for panic attacks; no cheek swabs for schizophrenia. And sadly, online questionnaires aren’t accurate diagnostic tools either. Having the correct diagnosis is vital. It leads to a more precise, effective treatment plan…If we don’t know what we’re dealing with at the beginning of treatment, our interventions can be like shooting arrows in the dark; not very accurate and possibly dangerous. Depression is a condition almost everyone is familiar with, so it can easily become a catch-all phrase or diagnosis. But there are literally hundreds of other mental health disorders, one of which may better capture the symptoms you are experiencing. Everyone gets stressed out. Those “perfect” people on Facebook, yoga instructors, preschool teachers, and even people struggling with depression. 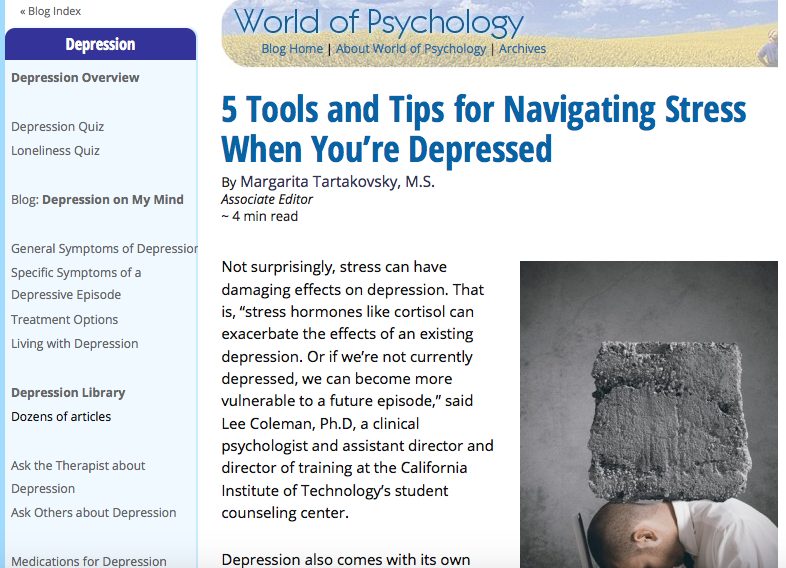 Sadly, depression can make managing stress even more difficult than it usually is. Maintaining motivation, focus and organization are all tasks that are affected by depression; yet they’re also tasks needed to manage stress effectively. This is one of my biggest pet peeves, and is sadly encouraged by Pinterest, blogs (not this one of course :), and other feel-good publications. I don’t mean to say feeling good isn’t a good thing, it’s just that poems about gratitude and pictures of kittens don’t do much to treat mental illness. Sorry. It’s the truth. Empirically-validated treatment for depression? No. Did you know that sadness and depression are not the same thing? Sadness is an emotion that occurs in the course of a relatively happy, meaningful and contented life. We feel sad when sad things happen (we lose our jobs, a friend dies, a relationship ends). Depression is a mental health disorder made up of lots of different symptoms including trouble sleeping, self doubt, trouble concentrating and irritability. 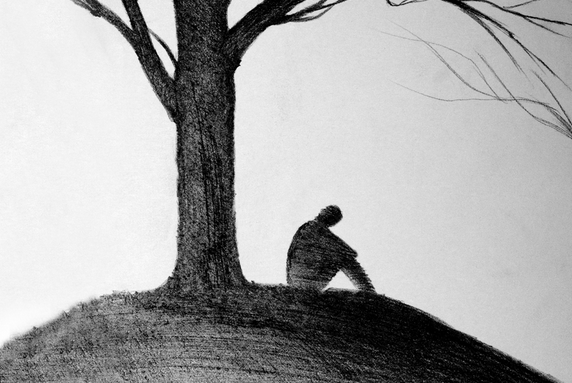 Sadness, or low mood, can also be a symptom of depression BUT it doesn’t have to be present for someone to be depressed. Strange, I know.